RS Games - what does it take to deliver this event? In less than a week the RS Games open at Weymouth and Portland National Sailing Academy (WPNSA) for a near month-long festival of sailing, with around 1000 boats and 1500 competitors. The event has been made possible by an incredible team of dedicated partners and sponsors. WPNSA the 2012 Olympic hosts, is one of very few venues worldwide with the experience, space and sailing waters needed for this enormous event. And the icing on the cake of their incredible efforts in running the RS Games is that WPNSA have been awarded event sustainability recognition, proudly achieving ISO20121 standard, which compliments RS Sailing's own sustainability focus for its boats and operations. WPNSA have over 2000 volunteer roles throughout the event, 18 ribs, 9 race teams and over 25 members of staff per week for the duration of the RS Games, making this event one to remember. Volvo Cars UK are sponsors of the main stage where daily prize-givings and a host of other stuff will bring the event alive onshore. Volvo are also valued long term sponsors of RS and the Class Associations. Big-screens by the stage will be sponsored by Kingfisher Ropes, helping bring the action ashore so we can re-live it together over a post-race beer. 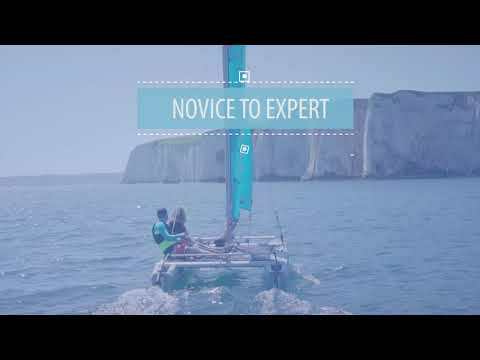 Noble Marine are specialist brokers insuring everything from paddle boards to yachts.and they have loyally supported the RS Classes for twenty years. "We have the best understanding the RS sailor's needs and are able to get your boat back on the water fast. We are genuinely excited to support the incredible RS Games in 2018" says Phil Kilburn of Noble Marine. Technical Clothing Partner, Rooster will be on-site with their excellent kit as well as RS Games gear designed specifically for the event. Competitors will be given a 20% discount promo code to make it great value as well as great kit. Steve Cockerill, founder of Rooster, says: "Rooster and RS have long been brands with shared beliefs so we are super excited support the RS Games. We look forward to working together for the benefit of our great sport and its fanatical following!" Steve will be at the heart of the RS Games, including defending his RS Aero 7 World title, clinched in Carnac last year. Harken are contributing exciting daily prizes and some fantastic end-of-the-week goodies from their world leading performance hardware range. Hyde Sails are sponsors of the media boat, helping create the coverage that will allow RS sailors worldwide to feel connected. PA Consulting continue their valuable support of the RS Feva Class which has, over the years, enabled the Association to deliver truly memorable championships for sailors from across the world. And, when you've travelled across the globe, the last thing you want is be grounded by damage so Zest Boatworks will be onsite to get you back on track. With over 15 years involvement with RS, you'll be in safe hands during the Games. "For the sailor's sake we hope for a quiet time... but things happen and we'll find a way to get you back on the water as quickly!" says Marty Miller of Zest. Family and friends can get afloat too during the event with sailing courses and paddle-boarding sessions offered by Andrew Simpson Foundation (ASF). The ASF was inspired by the memory of Olympic medallist Andrew 'Bart' Simpson who was passionate about encouraging and helping others to fulfil their dreams. Their overarching objective is to increase participation and improve young people's lives through sailing, so partnering with the RS Games fits perfectly. Likewise, Official Test Centre (OTC) are also on site at WPNSA and offering windsurfing and even their pioneering windfoiling courses to RS sailors and families at great prices. So there you have a sample of the input that will make the RS Games special. You can follow the event updates, photos, video and camaraderie on the RS Games Facebook Page.